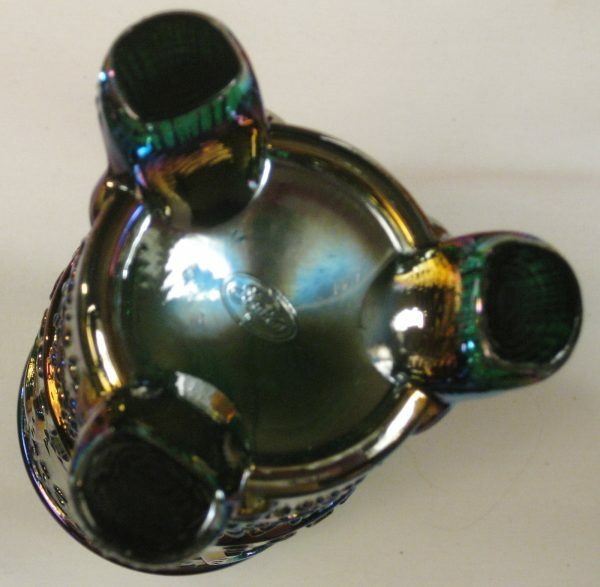 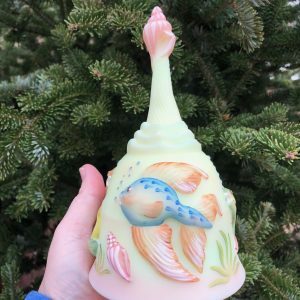 This Hatpin Holder was made by Fenton for the Heart of America Carnival Glass Club Convention in 2002 as a souvenir. 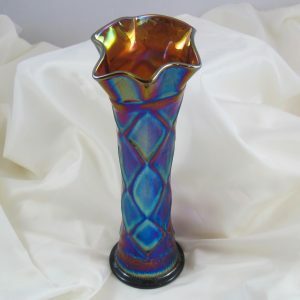 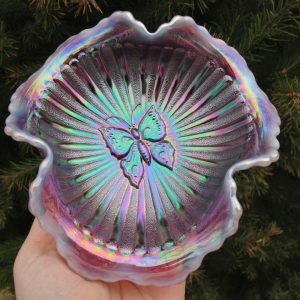 This is a dark Green glass with some Blue and Yellow and Purple iridescence showing on it. 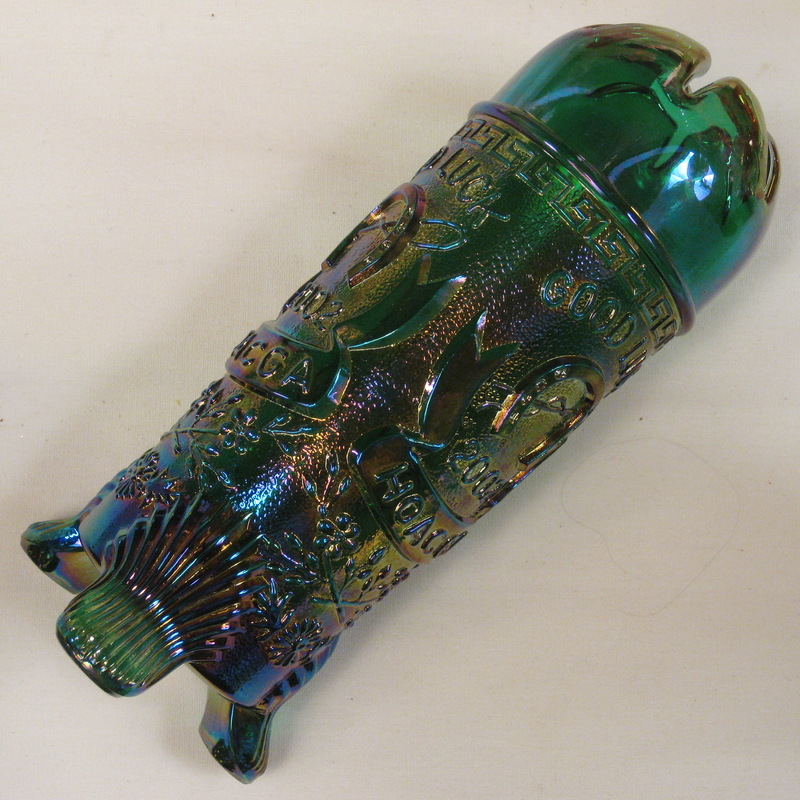 The pattern near the top is a band of Greek Key. The feet are a Shell pattern. 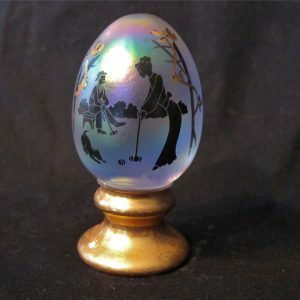 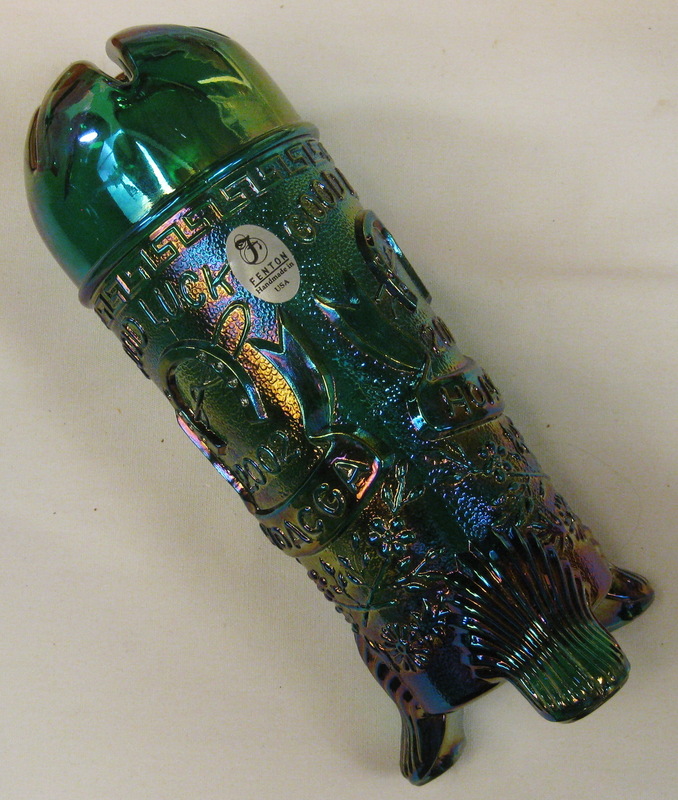 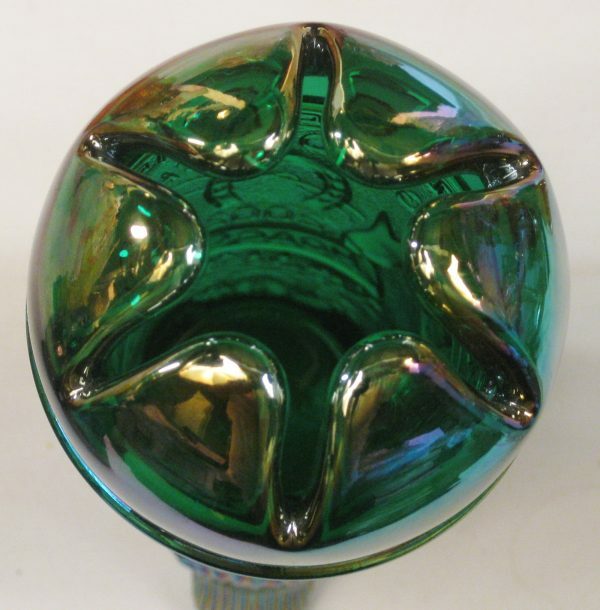 As with most Carnival Glass Club souvenirs the production runs are usually around 200 or less. 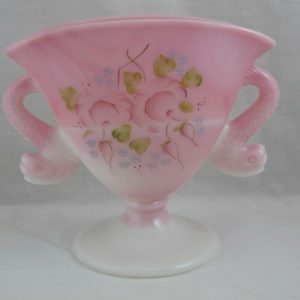 In addition to the Fenton Paper Label, this one is signed Fenton in an oval on the bottom.